In the year 1774 Louis XV died, marking the sunset of one of history’s most lavish monarchies. In the same year a young Swede named Johann Gahn, working in the deepest and wettest levels of a mine, discovered the metal Manganese. At a molecular level, when combined with oxides, manganese displays a striking “super-crystal” modularity. 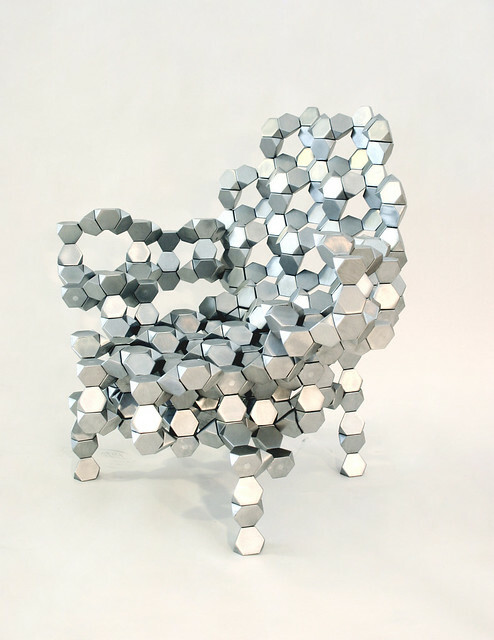 In this solid aluminum chair, two historic events—the super-excess of Louis XV and the super-crystal of Manganese—are fused into a single moment of design.